Keeping the voice and contribution of Victoria C. Woodhull alive! 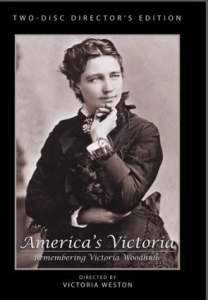 Help us Curate America’s Victoria, Remembering Victoria Woodhull Into Interactive Mixtapes for iPad! Mixtapes will include interviews with Gloria Steinem, Historians and actress Kate Capshaw performs the voice over of Woodhull’s own words. Support the Victoria Woodhull iPad App.